Is This The Best Shoplifting Jacket Ever Designed? Shoplifting is a crime. Just ask Winona Ryder. Yet, people still do it. They shouldn't, but they do. The above jacket, while not designed for shoplifting, is destined to become primo shoplifting gear. 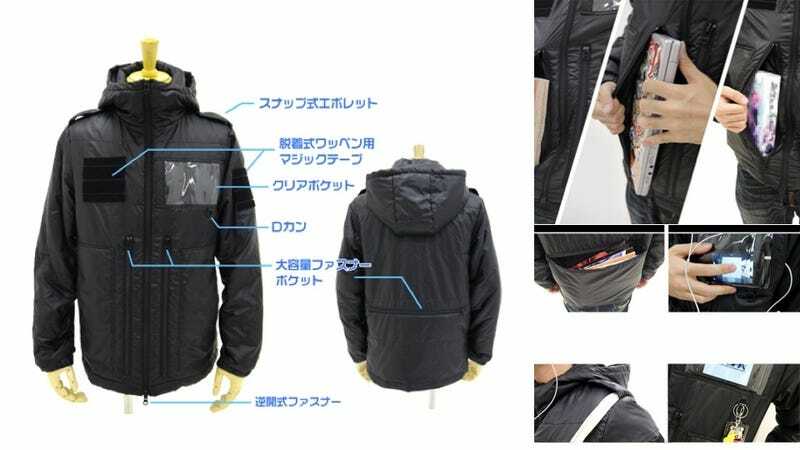 From cosplay costume maker Cospa, this black jacket has front pockets capable of holding laptops or even up to twenty thin magazines. There's also a huge pocket in the back. While, Cospa is promoting it to manga otaku who are buying loads of comics at the Winter Comiket and don't want to be loaded down with shopping bags, I'm betting petty criminals like this guy see an entirely another purpose for it.